Your perfect wedding brought to you by Funk Syndicate! Your wedding day is one of the most significant and special milestones of your life. You desire everything to be perfect from your invitations, flowers, food, decor … all the way down to your wedding reception entertainment. You want your special someone, family and guests to dance the night away as you two start the first day of the rest of your life together. Funk Syndicate will make your wedding reception one of the most memorable times of your life. We will perform some of the most well known and loved dance music from yesterday and today. We feature a full horn section, rhythm section and two of the Midwest’s most talented female & male vocalists. We have over 100 years of combined experience performing at wedding receptions and can help you customize the perfect entertainment solution to fit your needs. 100% satisfaction guaranteed! Angee and I heard the band at a function we attended early in 2011, and we knew right away that they were the perfect group for our wedding reception. We got married on 11-11-11 (Friday), but held the reception the next night (Saturday) in our KC Copters Helicopter hangar at JOCO Executive Airport. With a few hundred in attendance, we got the obligatory first dances out of the way, and then it was time for the band! We had them lead with the song “I’ve Got A Feeling”, and I have to tell you… I was on the dance floor for quite awhile before it dawned on me that it wasn’t a DJ playing the Black Eyed Peas… it was FUNK SYNDICATE! They sounded THAT GOOD! Not only are they incredibly talented, but they conducted themselves with unparalleled professionalism and courtesy. Through the entire booking and planning process they were totally fun to work with…they just flat out get it. And… they made the rest of the night spectacular as well. In closing, we’ve all been to the receptions where everyone cringes when the music begins. If you’d rather see smiles and nodding when the band strikes up, and a full dance floor too, I highly recommend you book Funk Syndicate for your reception. From both of us, thanks guys for making our night truly one we’ll never forget. You couldn’t have been more perfect. When planning our wedding my husband and I knew we wanted a band, but not just any band, we wanted a funk and dance band. We wanted Earth Wind and Fire, Stevie Wonder, the Commadores, and music of this nature. We went and witnessed five different bands in the KC area that covered this type of music. Funk Syndicate out-shined all of them! They were the best by far. Two years later, friends are still talking about how great the band was at our wedding. My uncle who I’ve never seen dance before in my life couldn’t resist getting up and “cutting a rug” at our wedding. Great memories, and we owe it all to Funk Syndicate. LOVE THEM! 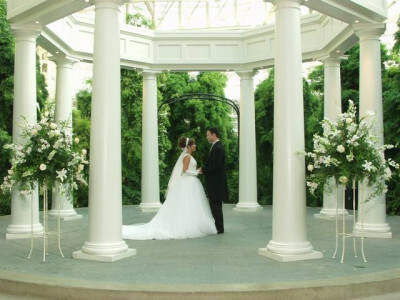 “Hiring Funk Syndicate was one of the best decisions we made when planning our wedding. They were professional and courteous, plus the music they played was just awesome! It would be an honor to be a part of your special day. We guarantee that you and your guests will be talking about Funk Syndicate for years to come. Funk Syndicate is your ‘perfect wedding entertainment’ solution!